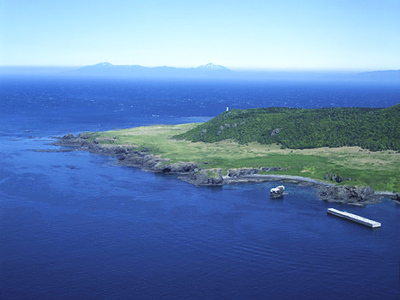 Russian Foreign Minister Sergey Lavrov has held talks with his Japanese counterpart Seiji Maehara, who arrived in Moscow amid high tensions between the two states over the status of the Kuril Islands. Following the closed-door meeting which lasted for almost two hours, the two ministers addressed the media. Lavrov defined today’s talks as “useful” and said that Russia is interested in forming true partnership relations with Japan. However, the talks brought no breakthrough in solving the long-running territorial dispute as both sides stick to their guns on the matter. Sergey Lavrov expressed regret that the visit comes amid actions and statements by Tokyo which Moscow considers “unacceptable”. “I had hoped that I would meet with you against a more favorable political backdrop than what we have today, due to the unacceptable actions during the so-called Northern Territories Day," Lavrov said. The Russian Foreign Minister said that any talks with Japan about a peace treaty have no chance for success unless Tokyo has radical approaches on the matter. 2011 marks 66 years since the end of the Second World War, but the two countries still have not signed a peace treaty because of their territorial dispute. Currently, the official positions of the two countries concerning the treaty are completely opposite. Therefore, the calm work of professionals, free from political motives, would do no harm.However, Lavrov underlined, if Tokyo does not approve of the idea of such a commission, Moscow will not insist. The Russian FM added that any decisions on the preparation of the peace treaty are only possible if they are based on agreements which would be supported by the nations of both Russia and Japan. “We will continue to hold talks on the issue and strive for finding a solution based on previously worked-out documents and principles of law and justice,” he said at the media conference. 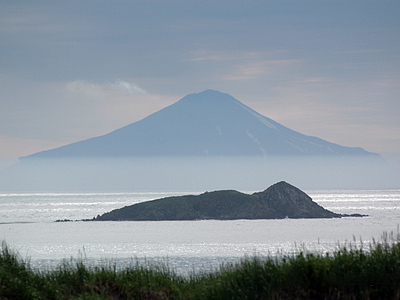 Russia is ready to grant benefits to foreign investors on the Southern Kuril Islands, Sergey Lavrov said. 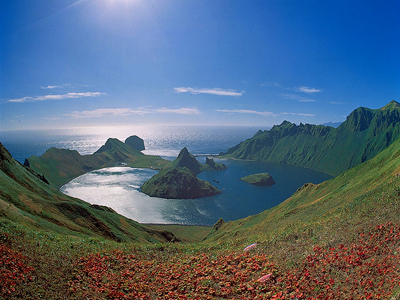 “We are interested in foreign investments coming to Russia and are open for co-operation with different investors on the Kurils – just as in any other Russian region. We would be happy to see Chinese, Korean investors there, as well as our Japanese partners,” he said. Earlier this week, President Medvedev named the developing of the islands’ social and economic sectors a priority, adding that there are several sectors there which could be interesting for foreign investors. Those, for instance, include fishing industry, geothermal energy and tourism. As for inviting “third parties” to invest into the development of the region, Japan does not welcome the idea, since it would make the situation “even more complicated,” Maehara said. Speaking at the conference, Sergey Lavrov said that Moscow and Tokyo are ready to start practical dialogue on the prospects of the bilateral co-operation. 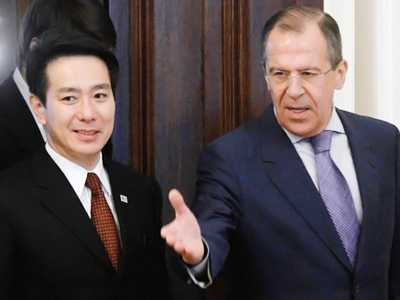 The Russian Foreign Minister said that he and his counterpart Seiji Maehara are set to fulfill the agreements reached earlier by President Medvedev and Naoto Kan, the Prime Minister of Japan. “We have common interest and relevant real opportunities which would help us to strengthen the economic basis of our relations,” he said. Businessmen from both countries are also interested in the development of bilateral projects in the modernization and innovation sectors. “We have already agreed to create additional mechanisms which would provide for state-private partnership between Japan and Russia on innovations and economy issues,” Lavrov noted. Medvedev and Kan met on the sidelines of the Asia Pacific Economic Co-operation summit in Yokohama on November 13. Back then the Russian leader invited Japan’s PM to visit any region of Russia, including the Far East. A recent incident with Japanese ultra-right campaigners desecrating the Russian flag in front of the Russian Embassy in Tokyo that was taken as an insult by many Russians also popped at the conference on Friday. Maehara said the police are now investigating the case and the radicals may face punishment. "Under Article 292 of the Japanese Penal Code, causing damage to another country's national flag is a violation of the law," he said. 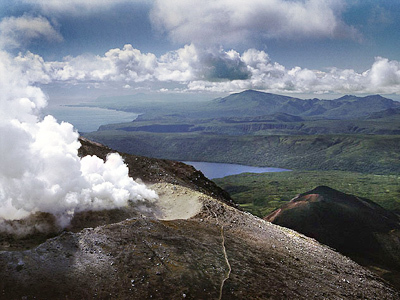 The incident took place on February 7, as the Day of Northern Territories was marked in Japan. The Russian diplomats expressed their protests over the act of vandalism and Sergey Lavrov urged the Japanese authorities to prosecute the nationalists. Meanwhile, the pro-Kremlin youth movement – the Young Guards of United Russia (the ruling party) – met Maehara’s visit with a protest. For five days now, they have been holding a rally in front of the Japanese Embassy in Moscow. They demand an apology from Tokyo for “diplomatic rudeness and defilement of Russian flag” by Japanese radicals. There is a whole range of factors that makes us come to the embassy, Alyona Arshinova of the movement told RIA Novosti. “First of all, we should bring our protest personally to the head of the Japanese Foreign Ministry. We cannot understand his position at all,” she said. She recalled that Maehara’s visit coincides with the 70th anniversary of the conference in Yalta, Crimea, where the future winners of WWII discussed the postwar order and the status of the Kuril Islands was defined. “It is very symbolic that the Japanese Foreign Minister arrived in the capital exactly on that day,” she added. Prior to Maehara’s two-day visit to the Russian capital both sides said it is important to promote bilateral relations. At the same time, both sides once again reiterated their stances on the islands’ status. The matter that has been clouding the relations between the two neighbors. 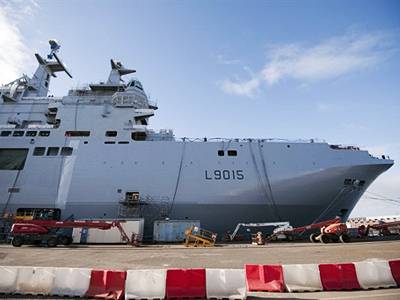 At the same time, the Russian president said Moscow wants to expand good relations with all its neighbors, “including co-operation on a number of issues on the islands.” He invited everyone “who does not find such co-operation insulting” to take part. Japanese Prime Minister Naoto Kan, speaking during a rally in Tokyo, called Medvedev's visit to the islands last autumn an "inexcusable rudeness”. 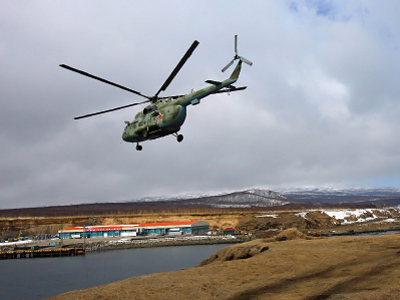 The dispute over the South Kurils, known as the Northern Territories by the Japanese, has been going on for decades, since the end of WWII, but has especially intensified after President Dmitry Medvedev’s visit to one of the four islands, Kunashir, on November 1.